This is a typical small raised garden in brighton. The rented neighbouring garden was not looked after and had a very high messy hedge that my clients wanted to screen. 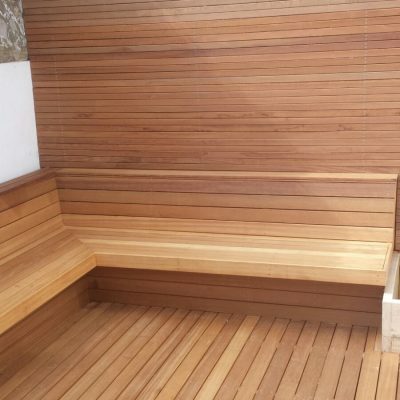 They also wanted a new patio and seating area. My solution was a bespoke horizontal hardwood screen to hide the neighbours. This in time will be lit and look fantastic both day and night. 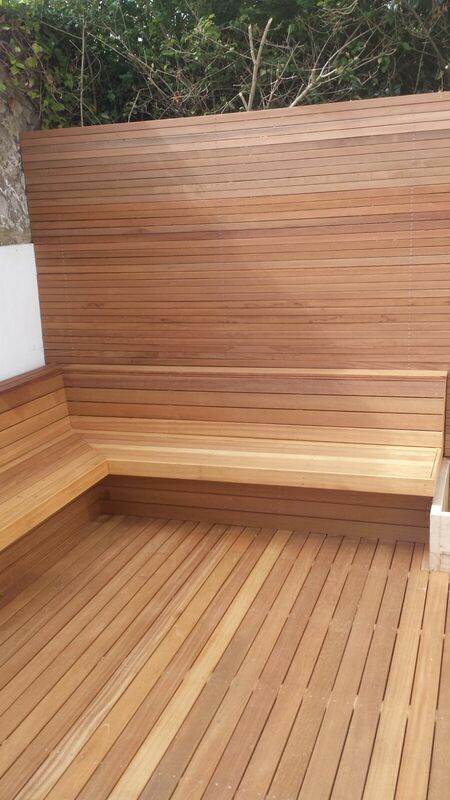 The bespoke seating saves space and has been positioned to get the most sunshine. 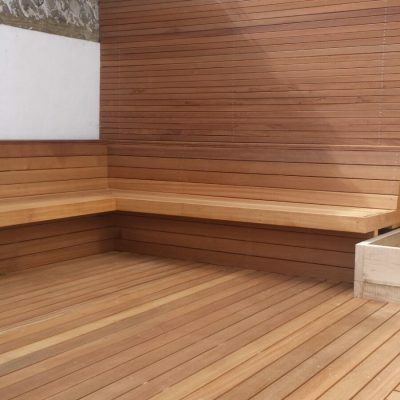 Using the same material for the decking keeps the design simple – great in a small garden. 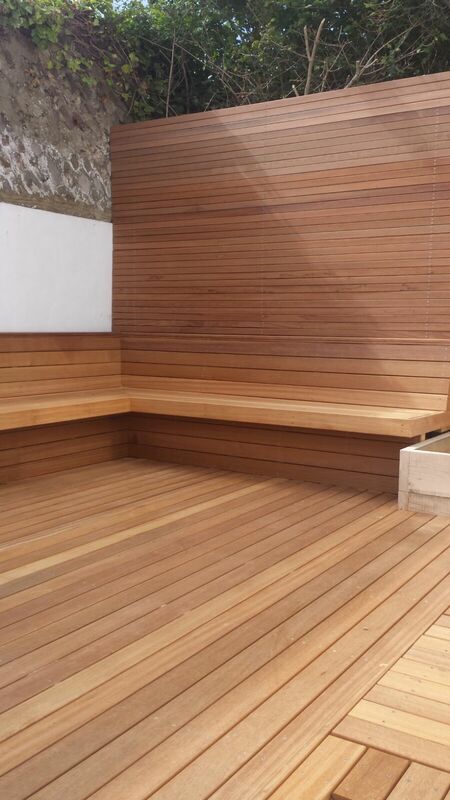 Also the decking can be built on top of the existing old patio. As materials had to be brought through the house, this saved time and money.